Vacuuming stairs can sometimes be trying and quite difficult. Especially when you don’t have a vacuum that can manoeuvre stairs very well. Most people try to hoover stairs with an upright vacuum and you will notice that it is quite inefficient. 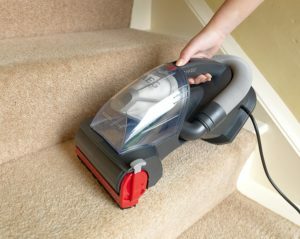 Before you buy your next vacuum to help you with your stairs take a minute to look at some features you may want in a good vacuum. This handheld AEG is lightweight, portable and so convenient for stairs or cars. It has a long cord, 6 meters so that you never lose power or have to recharge batteries in the middle of cleaning. Also, you will no longer have to carry heavy hoovers up and down your stairs. It also comes with a stretch hose and a crevice nozzle so that you can really can your stairs well. This Vax is portable and has a detachable handheld system. It is great for cleaning multi surface, pet hair and dander and stairs. The Vax SlimVac is lightweight and delivers 24 minutes of uninterrupted use. It is completely rechargeable and cordless as well. 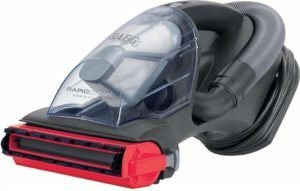 Overall if you are looking for a great vacuum that is good for multi surface as well this may be the vacuum for you. This upright convertible lift away vacuum by Shark is convenient and easy to use. The upright is designed to clean wide spaces while the handy handheld liftaway can get hard to reach spots and clean stairs with ease. The handheld Shark does not lose any suction either! For easy cleaning just empty the dust cup and it gets full. This model from Shark is sure to meet all your household vacuuming needs. 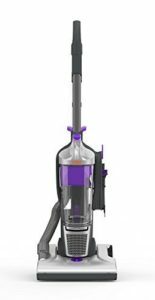 The portable, lightweight upright vacuum from Vax is bagless and makes cleaning stairs a breeze without any heavy lifting! It has a combination floor head that allows it to clean a variety of surfaces with ease. If you love having an upright but don’t want to drag a heavy one up the stairs, we think this model might be just what you are looking for. This vacuum by Vax is lightweight and extremely portable. It’s bagless and easy to clean, as well. The Vax U85-AS-Be Air is a great upright vacuum that comes with three great attachment tools to get all the crevices. It’s quite powerful with it’s multi-cyclonic suction system. It’s portability also makes it maneuver quite nice which is why it is great for stairs and hard to reach spaces. This vacuum is corded however the cord is 17 meters long allowing it to reach just about anywhere. Overall, this is really a great vacuum for your home and your stairs. Handheld: A great hoover for the cleaning stairs and for the money is a handheld vacuum or dust buster. These models are easy to store, typically cordless and rechargeable and can make stair cleaning less of a chore since you don’t have to lug around your heavy upright hoover. Compact: If you don’t go with a smaller handheld version, be sure to go with a model that is compact in size. A smaller hoover will work better on stairs. Lightweight or Portable: Also, keep in mind that your vacuum should be lightweight and quite portable. It is hard to go up and downstairs with a huge upright hoover. The lifting alone can be dangerous. Cordless or Rechargeable: No one wants to vacuum stairs and trip over cords. A great feature to have for the best selling hoover for stairs is a vacuum that is either cordless or has the option to be rechargeable. Cords just cause a tripping hazard. Convertibility: Some upright models can actually convert into smaller compact and handheld vacuums. So you get two for the price of one! This gives your options and maybe the best buy if you need a hoover for several different purposes. Manoeuvrability: You want a model that can manoeuvre stairs and reach all the crevices. Make sure that it has a good way to pivot around each step. Type of Surfaces: Stairs can either be carpet or hardwood or tile. Be sure to find a vacuum that works for your floor surfaces. Also, some vacuums say they can clean all types of floor surfaces. This ideal if you have multiple types of surfaces in your house. Who wants a hoover for each type of floor surface? I know I don’t. Easy To Clean and Maintain: Be sure that your vacuum is easy to clean and maintain. It’s always nice to have a bagless vacuum. This makes cleaning easy and you don’t have to buy vacuum bags all the time. For more information on cordless vacuum cleaners, check out our buying guide here.